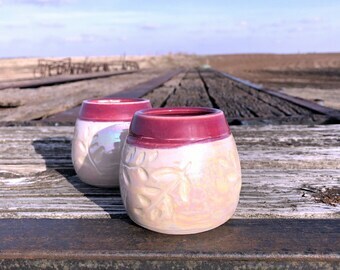 This listing is for a set of 2 wine cups. 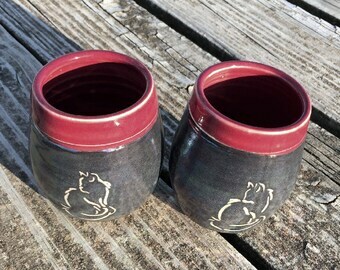 These cups would be perfect for the wine or cocktail drinker in your life. 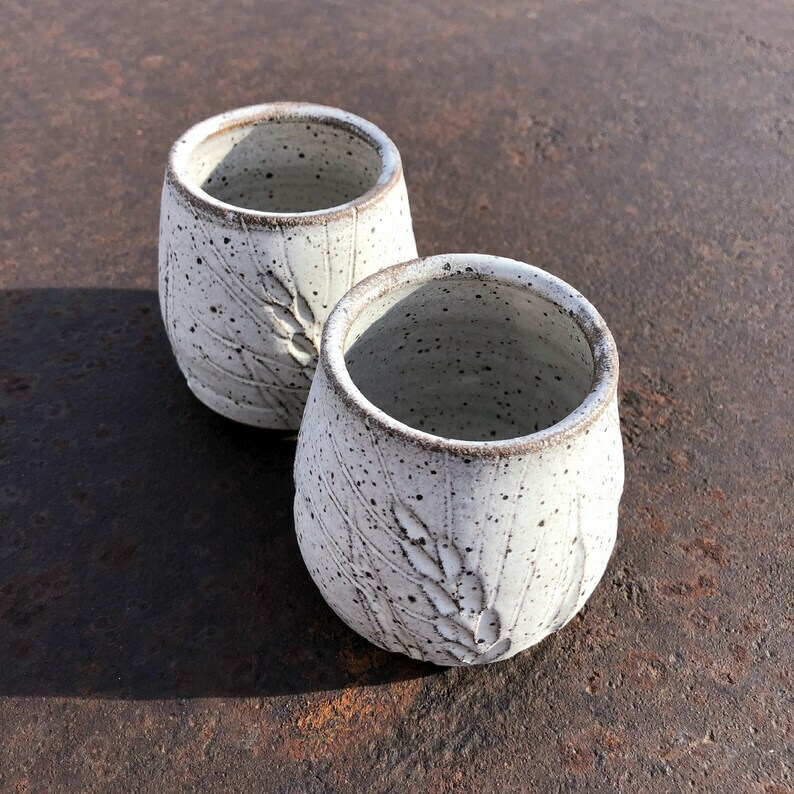 I made these stoneware cups on the potter's wheel in my Kansas studio. 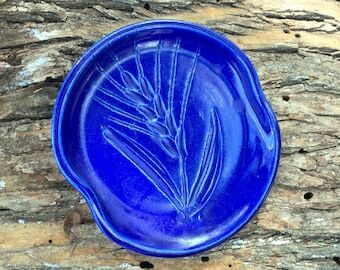 Each cup features a hand-incised wheat design. 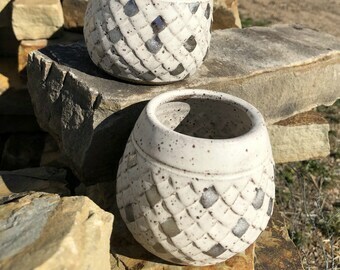 After the cups had been fired once, I glazed them in a white glaze that allows the mineral spots in the clay to show through. 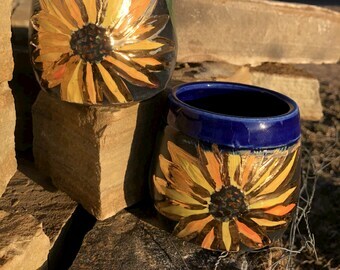 The cups were then fired in my electric kiln to about 2200 degrees Fahrenheit. Each will hold 8 oz. of your favorite beverage. Measures 3 inches (7.62 cm) tall and 2.75 inches (7 cm) in diameter.